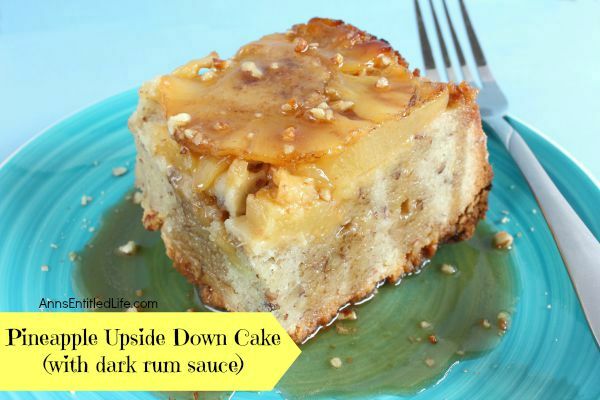 Old fashioned Pineapple Upside Down Cake finished with a dark rum sauce; there is nothing better for a snack or to finish off a meal, or a sweet treat for breakfast in the morning! 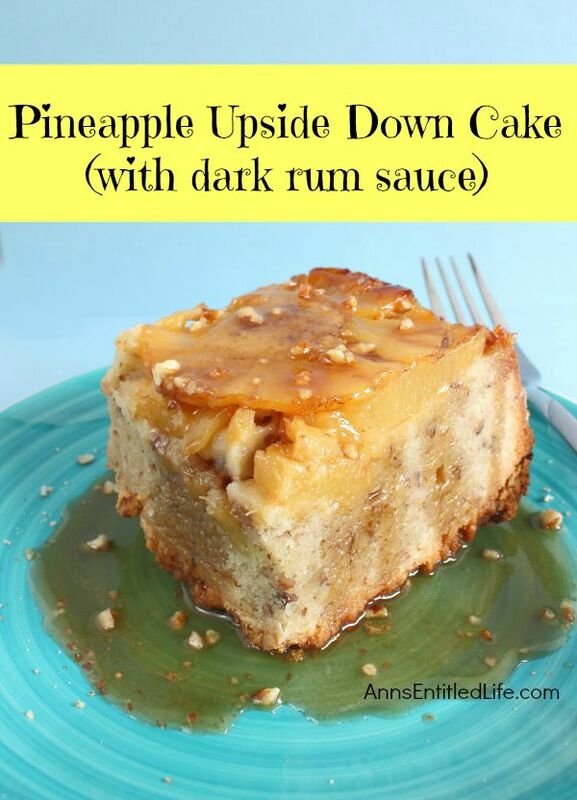 • In a small pot combine brown sugar, 1 ¼ cups dark rum and pineapple juice. • Bring brown sugar and rum mixture a boil over medium high heat then reduce and simmer until a slightly syrupy consistency, approximately 12-15 minutes. • Add ¼ cup of butter to the rum sauce, stir until melted. • Remove rum sauce from heat. • Add the pineapple rings to the rum sauce coat them. 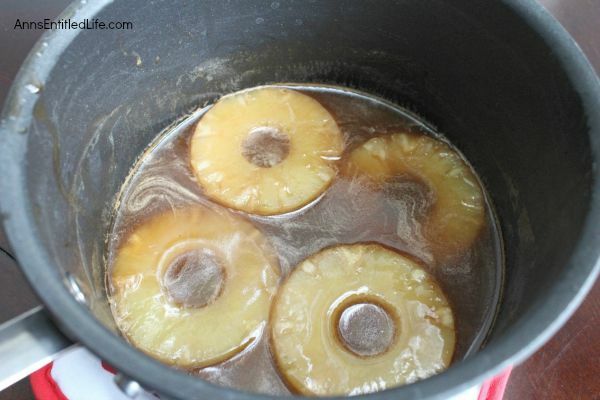 • Place the coated pineapple rings in the bottom of a greased 8″x8″ inch pan slightly overlapping them. 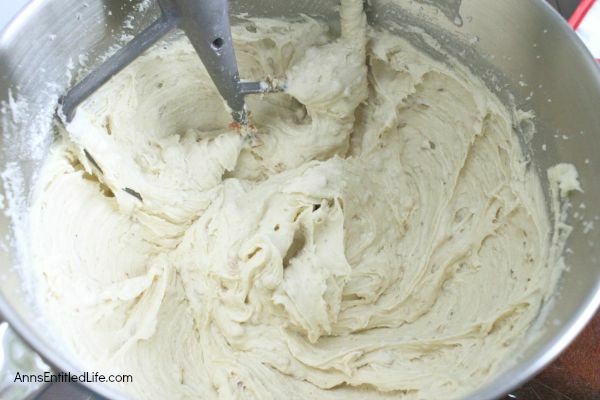 • In a mixing bowl cream together the ¾ cup butter and 1 ½ cups sugar. • Add the eggs one at a time mixing thoroughly between each addition. • Stir in vanilla and 2 teaspoons of rum. • Slowly mix in the flour, salt and baking powder. • Stir in ½ cup of the pecans. 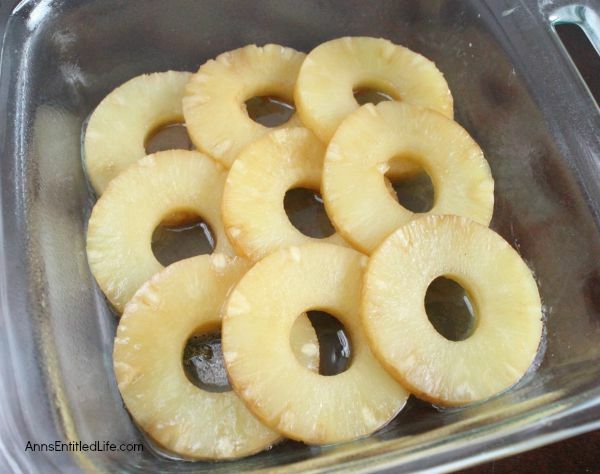 • Pour cake batter over the pineapple rings and bake at 350˚until a tester inserted in the center comes out clean, approximately 80-90 minutes. • Remove from oven and let cool. • Run a knife around the edges of the pan and slowly invert the cake onto a serving platter. • When ready to serve, reheat the rum sauce. 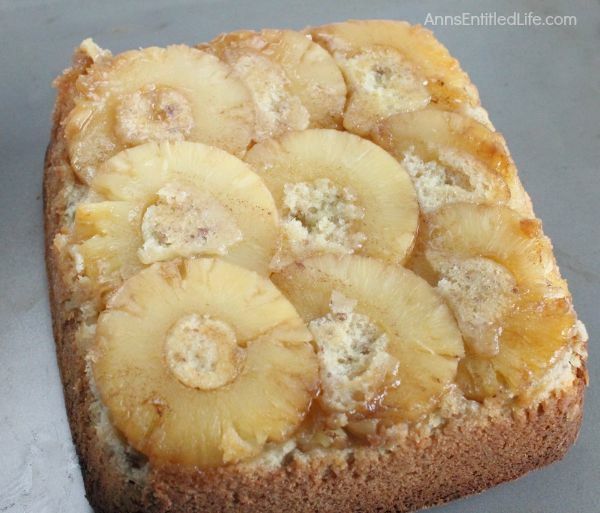 • Cut pineapple cake into desired size pieces. 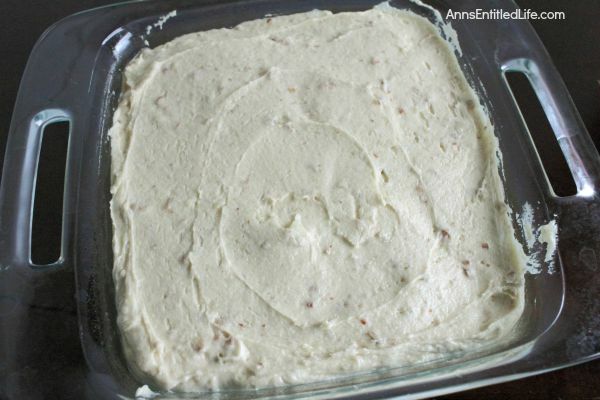 • Sprinkle with remaining pecans, heat the sauce to a simmer and drizzle over the slices. 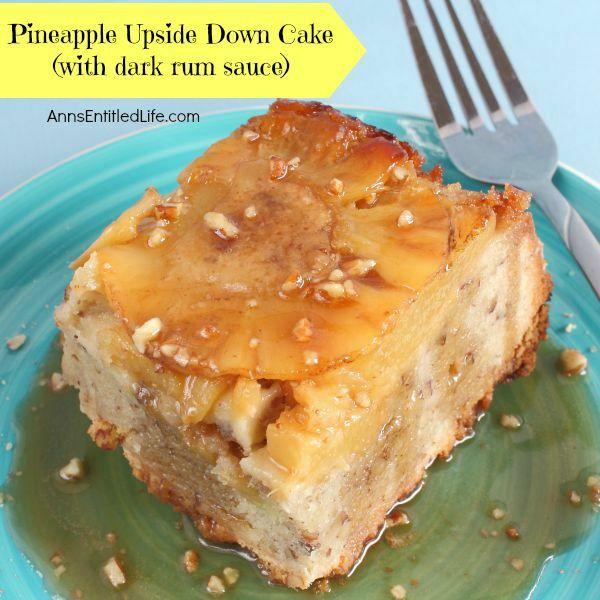 • To print the Pineapple Upside Down Cake recipe click here.